Most uses of technologies in education and training today do not support 21st-century learning skills. In many cases, new technologies are simply reinforcing old ways of training and learning in current school settings and very often they are introduced according to a narrow perception as being suitable only for talented youth or only for Science-, Maths- or Engineering-oriented majors. Current developments call for a move from this elitism to the recognition that fluency with making technologies represents knowledge and skills valuable for every citizen. The maker movement is a trend in which individuals or groups of individuals create (and market) products that are recreated and assembled using recycled materials including electronic, plastic, silicon and virtually any raw material. Digital fabrication, complementary, is a process that joints design with production through the use of tools such as 3D modelling (computer-aided design) software and 3D printing. Nowadays, several studies assure that digital fabrication and making technologies, if coupled with proper learning methodologies such as Constructivism can provide learning experiences that promote young people’s creativity, critical thinking, teamwork, and problem solving skills, which are essential and necessary in the workplace of the 21st century. 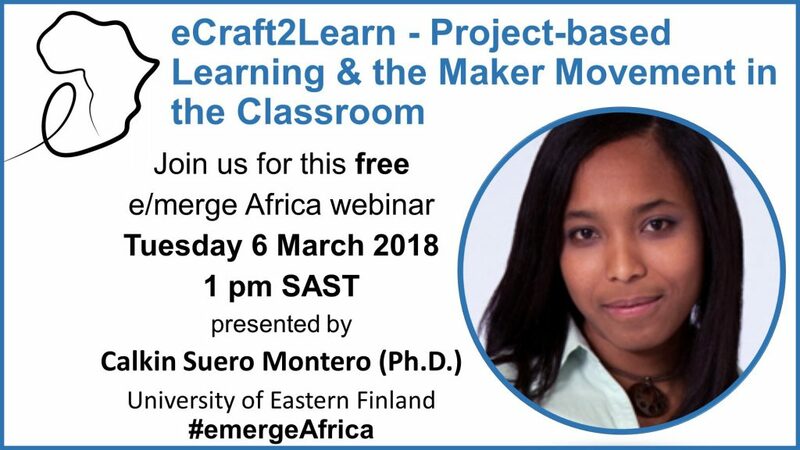 The eCraft2Learn project will research, design, pilot, and validate a learning ecosystem for making computer-supported artefacts in both formal and informal learning contexts. The eCraft2Learn project seeks to establish digital fabrication and making as 21st century learning activities in formal and informal educational contexts; and to encourage a paradigm shift in technology education from black box and silo products – avoiding pre-programmed and pre-fabricated solutions which appear as black boxes – to the white box paradigm, so that learners change roles from consumers of digital technology to designers and makers of transparent problem solving artefacts. Dr Calkin Suero Montero obtained her PhD in computer science at School of Information Science and Technology, Hokkaido University, Japan. She works at the intersection of human-computer interaction, affective computing and ICT for development within educational contexts. She has ample experience working in multicultural environments on the deployment of innovative solutions to societal challenges with a particular focus on the application of educational technologies. She is Senior Researcher and H2020 eCraft2Learn Project lead investigator and coordinator at the School of Computing, University of Eastern Finland.